A story about Imogen Cunningham, one of the most significant photographers of the last century and an original member of the f/64 group. With her hands full raising three boys, she still found the time and means to weave her work into her family life. She showed us that even in a time when there was a dearth of female artists and working mothers, it was possible to pursue her métier as a photographer. "You can't expect things to be smooth and easy and beautiful. You just have to work, find your way out, and do anything you can yourself." 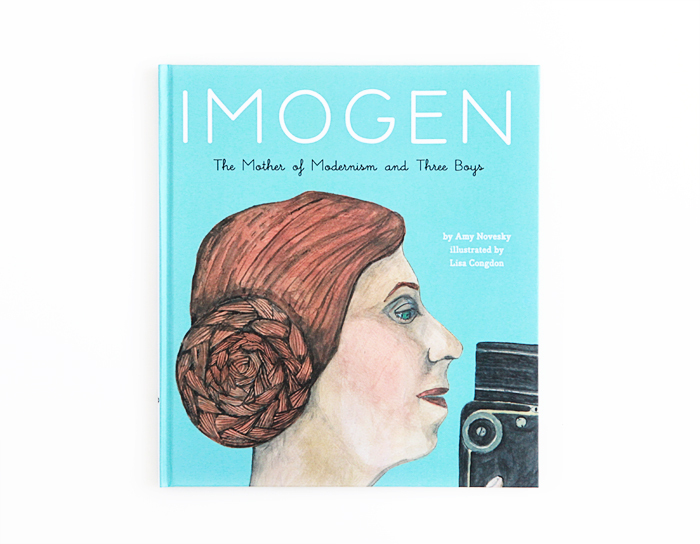 Imogen: The Mother of Modernism and Three Boys was written by Amy Novesky, illustrated by Lisa Congdon and published by Cameron + Company.